We all heard about the new Ubuntu operating system and smartphones running this back in April 2102 and now we can report that handsets running this new OS will be released October 2013 thanks to Mark Shuttleworth, founder and CEO of Canonical, the question is will it be successful or unsuccessful? We have known about Canonical looking for developers for 12 core Ubuntu Phone apps and that the new OS was officially announced on January 2nd, we believed through sources that the first smartphones would release in 2014 and now according to the Wall Street Journal Canonical are saying it will be October this year. The smartphones will be released in two main “large geographical markets,” of which we are not sure what ones, we would love to think these would be the USA and UK but that is what we want. Shuttleworth says that the new Ubuntu Phone OS will access the ability to have Windows apps shared with it over a server. Looking into this further it seems that the first version may not be able to run Ubuntu desktop applications but this will in time change, instead some apps can be installed on desktops via a version of distro. The Ubuntu OS will include 12 core apps (Already under development) and these will include social networking apps such as Twitter, Facebook, RSS Reader and YouTube, as for the other 8 apps these may include alarm clock, file manger, email client etc. As we all know the biggest operating system breeds on the market include in our minds just two, these are Android and iOS. Is there any chance other OS platforms could touch these two, Windows Phone is not what you call a major success, the new BlackBerry 10 has just recently started and we have no idea what the future holds for this operating system. Personally we believe that nothing will ever touch Android or iOS but everything is worth a go. Yes Canonical is bringing Ubuntu to smartphones this year, and this is a very special version of Ubuntu because it is desktop software that features a touchscreen friendliness mobile interface. We would love to think that Ubuntu is as refined as Android and iOS, Ubuntu on the phone features a mobile interface, and this is a great feature because when users dock the smartphone it will allow the traditional desktop version of Ubuntu appearing on a coupled monitor. 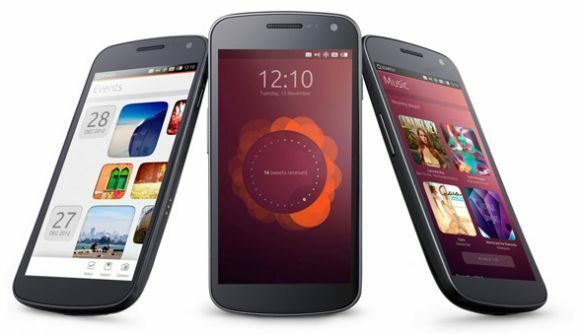 Do you think the Ubuntu smartphone will be successful or unsuccessful?